1 First of all: What is carry-on luggage? 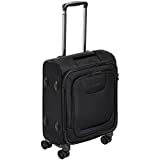 3 Which carry-on suitcases are recommendable? In this post you shall receive information and guidance in terms of the occurrence to the purchase of carry-on luggage or suitcase. First of all: What is carry-on luggage? Hand luggage is luggage that can be taken by the passenger during the flight in the cabin. 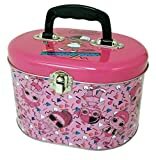 This is usually limited to one carry-on per passenger and is subject to certain rules, such as weight or size limitations. With four instead of normally two rolls a piece of luggage can be more easily maneuvered. Further, when a role breaks, the trolley can still be handled quite well with the three remaining. It is also very convenient if the roles are replaceable. Whether you prefer a hard or soft shell, is a matter of taste. Meanwhile both types and their materials are similar stable and fail-safe. If sensitive and expensive items are transported, you should of course use a hard shell with the highest stability and inner damping. For primarily clothing a soft shell is enough and also easier to handle during flight. 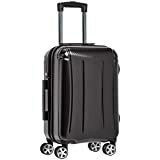 The extendable telescopic handle of the luggage should belong enough for the individual body size. The luggage also should not constantly beat the carrier behind the heel while running. The material of the board luggage should be very light and durable. For hard cases you can choose between aluminum and various high-quality plastics (Curv, ABS, polypropylene, polycarbonate). The most innovative plastic currently is Curv. This is extremely light, unbreakable and resistant to abrasion. It is made from a polypropylene film that has been cut into so-called “polypropylene tapes” and which are getting heated and stretched. Subsequently, a tissue is formed with multiple layers out of the threads. The trolley is then formed out of the tissue. For soft luggage there is a choice between polyamide (nylon, Perlon) and leather. In terms of design of luggage there are some significant differences. Luggage – from Rimowa for example – offers a unique sovereign and stringent design made of aluminum with grooved lines, which guarantee stability. In particular, the trolleys made out of crude, uncolored aluminum gained a certain cult factor and recognition value, but are also correspondingly expensive. In general: The more sophisticated and perfected the design is, the more expensive is the product. A good price/performance ratio offer a American Tourister or Rockland Baggage. The more striking and personalized a piece of luggage is, the faster and easier it can be found at the baggage claim. With a bright color or an unusual imprint it can easily achieve this. 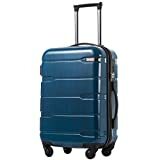 Which carry-on suitcases are recommendable? A good guide always might be to look for the best sellers on Amazon.